Kalawati Vishukarna, 70, has been a resident of the Mumukshu Bhawan since 2007. One of the maintenance workers at the Mumukshu Bhawan in Varanasi. A sadhu at the men's accomodation section of Mumukshu Bhawan in Varanasi. The women's accomodation section of the Mumukshu Bhawan in Varanasi. Rajnarayan Ashram, 80, in front of a temple near the men's accomodation section of the Mumukshu Bhawan in Varanasi. A sadhu takes an afternoon siesta at the men's accomodation section of Mumukshu Bhawan in Varanasi. The kitchen staff clean utensils after lunch at the Mumukshu Bhawan in Varanasi. Rajnarayan Ashram, 80, in his room at the Mumukshu Bhawan in Varanasi. A view of the women's residential section at the Mumukshu Bhawan in Varanasi. Sushila Sharma, 60, was abandoned by her family in Kolkata. She has been a resident at the Mumukshu Bhawan for 8 years. A Shiva temple at the premises of Mumukshu Bhawan in Varanasi. Murali Mohan Shastri, 75, a resident of the Mumukshu Bhawan in Varanasi. One of the buildings of the men's section at Mumukshu Bhawan in Varanasi. 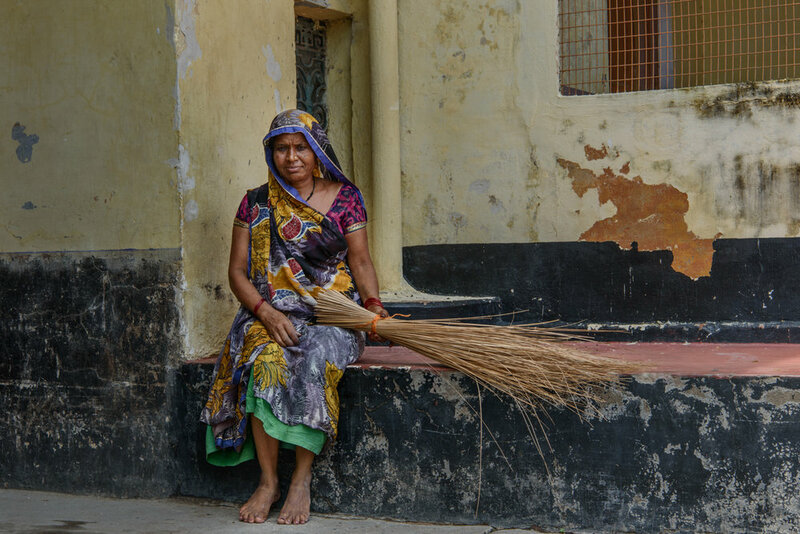 An abandoned widow at the women's residential section at the Mumukshu Bhawan in Varanasi.